Todd J. Pesek, M.D. 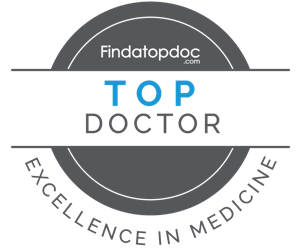 is a holistic physician, medical advisor, published scholar, professor, and author who specializes in disease prevention and reversal toward longevity and vital living. Dr. Todd is founder of VitalHealth Partners, a private group medical practice which focuses on preventive, integrative, holistic healthcare. Dr. Pesek is also Chief Medical Officer of Heinen’s Grocery Store, based in Warrensville Heights, Ohio, and a tenured Health Sciences Professor at Cleveland State University, in Cleveland, Ohio, where he teaches, researches and serves in multiple capacities, including as founding Director for the Center for Healing Across Cultures. In addition, he is founder of a leading Superfoods and Supplements company, Nutritional Roots. Dr. Todd was raised in the mountains of Appalachia in rural Pennsylvania and embraced his calling of holistic health and wellness from an early age. His passion and purpose began in the woods surrounding his home, gathering comfort and learning truth from his elders and the Earth. These childhood adventures blossomed into extensive study and collaboration with traditional healers and holistic health practitioners in places as far away as India, Peru and Belize. His goal is to shed light on holistic health and wellness through timeless healing traditions that have long helped maintain personal health and wellness, and can help us stay healthy and filled with vitality today. His work illustrates how we all can achieve wellness through hydration, Superfoods nutrition, alkalinization, and detoxification, and that an immersion into nature, healing plants and the traditional practices of the world allow for true health.